This contemporary style home showcases multiple features that you will love. 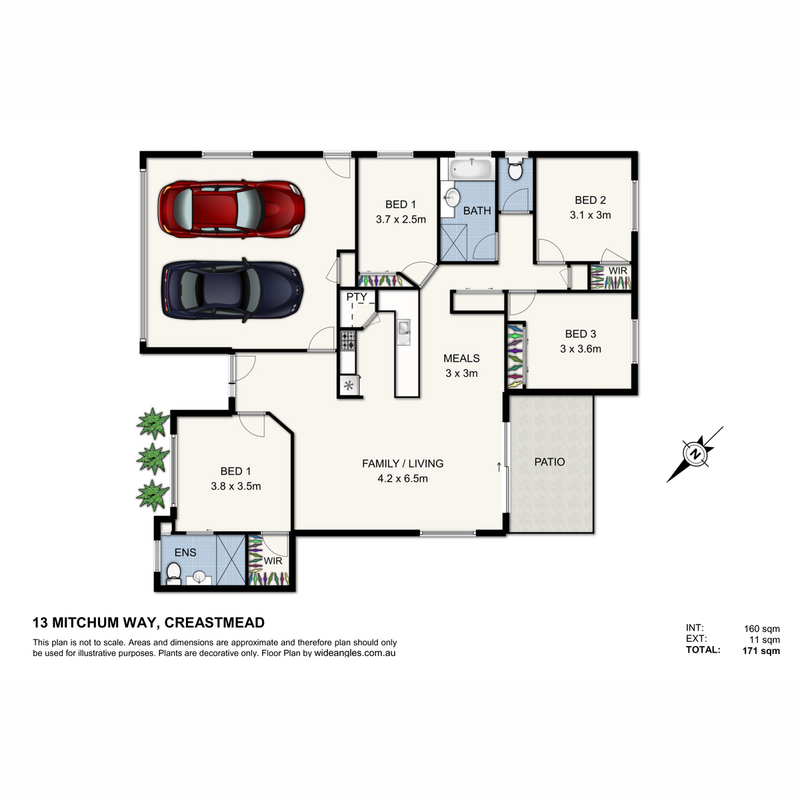 13 Mitchum way is situated in the heart of Crestmead, only 10 minutes away from Crestmead Primary State School and a 5 minute walk to the park, childcare centre and local shops. Immaculately presented throughout, this property offers you 4 spacious bedrooms, 2 bathrooms, a versatile open plan kitchen and living area that features split system air conditioning. You can relax or entertain in style with the open living area which leads out through sliding glass door to the outside/undercover patio. The huge backyard surrounds the house, providing you with great outdoor living space for those of you who enjoy entertaining friends and family. We would highly recommend that you inspect fast before this one disappears! Please speak to the TEAM for any information regarding the potential of this property.